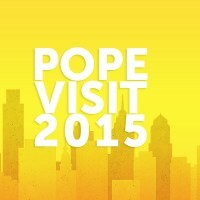 TUTV will provide LIVE coverage of the 2015 Papal Visit to Philadelphia, from Saturday, September 26th to Sunday, the 27th. TUTV's student journalists will report live from the Ben Franklin Parkway and in the studio at Temple University. As many as 17 student journalists will be involved in the coverage––directing, field producing, reporting, editing, and writing. The studio show will be hosted by Lu Ann Cahn, former NBC-10 reporter and current Director for Career Services in the School of Media and Communication.